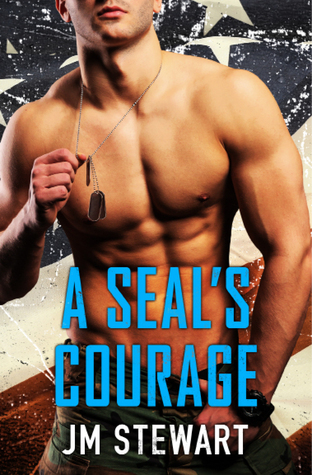 Navy SEAL Trent Lawson isn't a man to back down from a challenge. Ever since he opened his eyes in that army hospital to learn the men from his unit were gone, Trent has been determined to live life in their honor. Even if that means facing his most terrifying mission yet . . . dating. This adorable couple will melt your heart! She’s sassy but sweet, he’s gruff but endearing. Watching them heal each other from the scars of their individual pasts and move forward together was so rewarding! The characters are fun, the story line is a bit unorthodox but totally works for them. Can’t wait to read more in this brand new series! Lauren Hayes is tired of waiting around for Mr. Right … and since he’s obviously not going to show up, she’s decided to start thinking more along the lines of Mr. Right Now! Her best friend talks her into trying out a new dating service … and low and behold she gets matched up with the guy she’s been crushing on for like forever .. her BFF’s big brother! Former Navy SEAL Trent Lawson has had a hard time adjusting to life and loss since he’s been back home, so the fact that he let a friend twist his arm into trying out this dating site is surprising. Who knew he’d be matched up with the one woman he most definitely wanted … but couldn’t have? When they decide to secretly get it all out of their system and then go back to being friends, will it all blow up in their faces? Thanks for the great review! So pleased you liked it!